The Republic of Angola (Portuguese: República de Angola) is a country in southern and central Africa. It shares land borders with the Democratic Republic of Congo, Namibia, and Zambia, as well as having a coastline on the Atlantic Ocean. 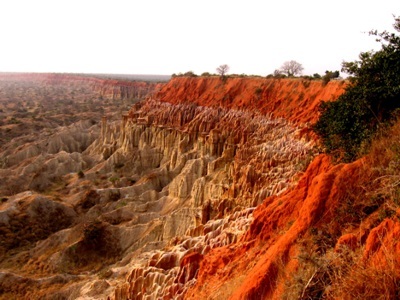 Angola also incorporates an exclave, Cabinda (sometimes spelled Kabinda) which is separated by a narrow strip of territory belonging to the Democratic Republic of Congo. 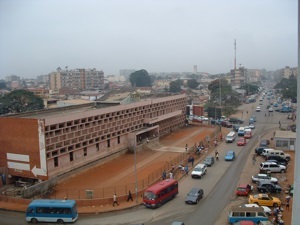 Cabinda has borders with the Republic of Congo and Democratic Republic of Congo, also has a coast on the Atlantic. As of 2009, the population of Angola was estimated as being 18,498,000. The country's capital and largest city is Luanda had an estimated population of 4,799,432 as of 2007. Angola is changing at a rapid pace, though it is still far from a mainstream tourist destination. There is much to see and it can all be explored on a road network that is excellent by African standards, in a society that is both welcoming and safe for foreign visitors. This new edition of the first-ever English-language tourist guidebook to Angola includes the lesser visited inland areas of Lunda Norte, Lunda Sul and Kuando Kubango, a separate section on surfing and a directory of international schools. An easy-to-use road map of Angola. The best way to plan your trip to this African country and to travel independently. This map includes street plan of the capital, Luanda.